MEC sells helmets that fit Brontë! Today is one of those days when I get desperately impatient for Brontë to get big enough to bike with. Sunny weather, not a cloud in the sky, mild temperatures & no other plans. Though Brontë's got a decent sized head so I have actually found a helmet that fits her reasonably well, she just doesn't have the core & neck strength to sit up on a bike ride yet. 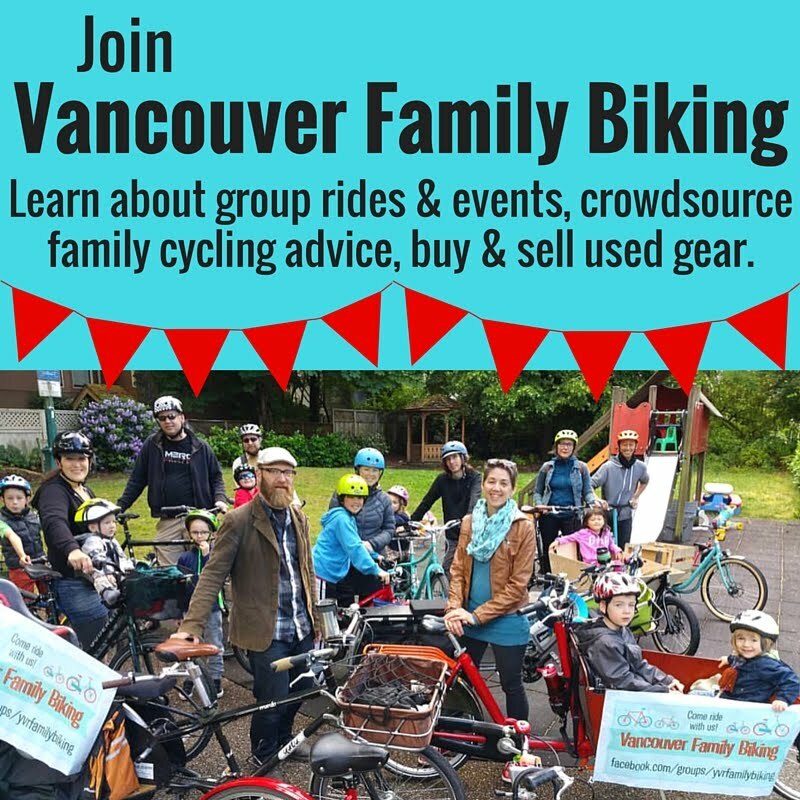 It's a frustrating position for Spokesmama to be in, writing about biking, tweeting about biking, facebook posting about biking, but being unable to ride much at all myself. Basically, anything I can't do it with Brontë (at least for the 50-60 hours I'm on my own with her during the week), doesn't happen. 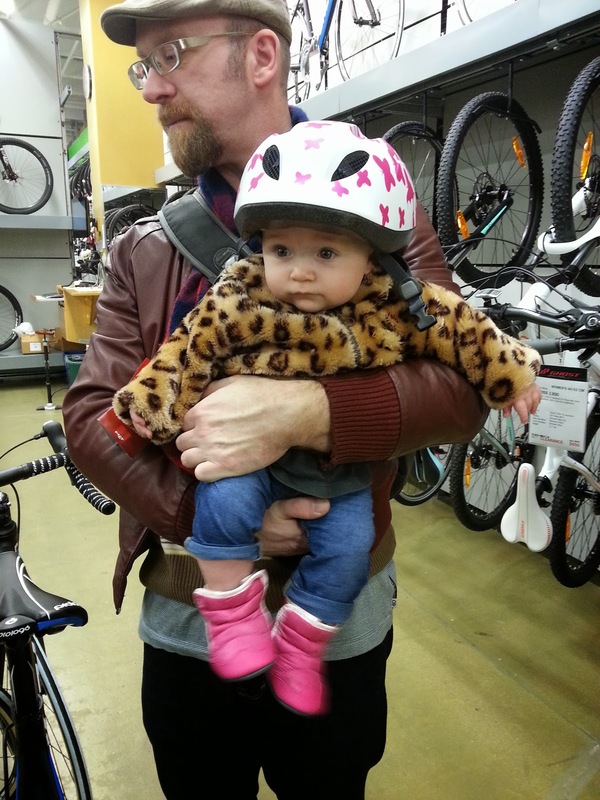 Since she was born, I've biked Linnaeus to preschool maybe a dozen times & gone to a handful of errands or appointments when Oliver was home to watch both kids. Today I'll get to do one of those five-minute rides to & from a doctor's appointment. Woo hoo. So until Brontë grows a little stronger (two months? maybe three? four? I wish I knew...) I live vicariously through my bikey friends, looking longingly at their Instagram photos riding their kids to school, sighing when I read their status update about bicycle commutes & retweeting their observations from the bike lanes of my city.